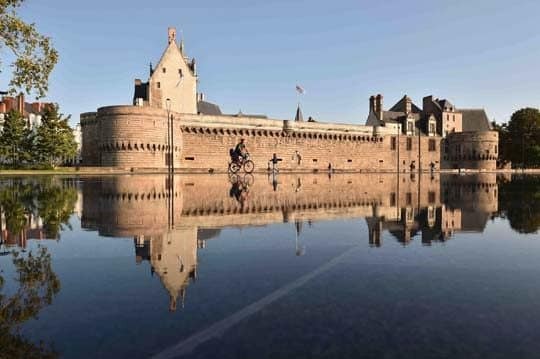 This cycle route from Saumur to the Atlantic Ocean is brimming over with exceptional heritage, vineyards and breath-taking Loire scenery, all promising discoveries sure to enliven your journey to the ocean! 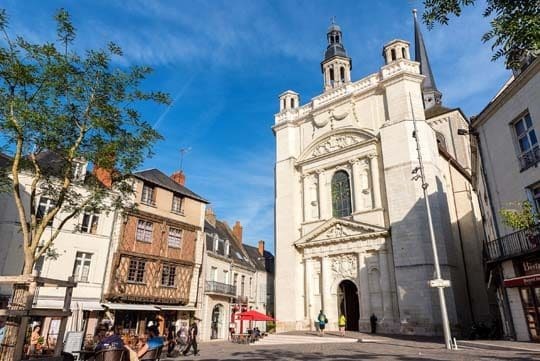 In Saumur, spend time wandering round the streets in the old district of the city. 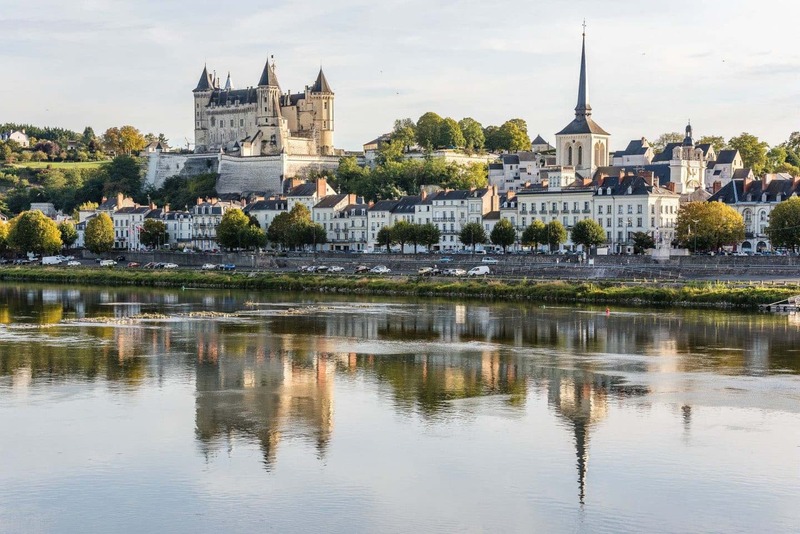 A city of Art and History that is known for its wine, gastronomy and lifestyle, Saumur is also an important city for horse riding. Before leaving Saumur, visit the famous French National Equestrian School and explore Caves Bouvet Ladubay by bike and discover its famous sparkling wine! Leave Saumur via the south bank in the direction of the village of Chênehutte-Trèves-Cunault. The cycle route along the Loire is bordered by magnificent tuffeau-stone buildings. 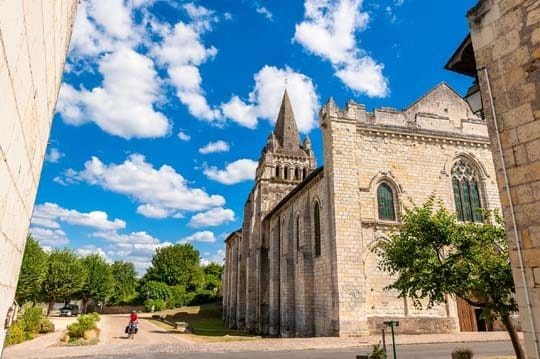 Don’t miss the priory church of Notre-Dame de Cunault, built in the 13th century. Spend the night in Gennes. Alternative: itinerary along the north bank between Saumur and Les Rosiers-sur-Loire. This section along the banks of the Loire follows a green lane but is not recommended for bikes with trailers or tandems. Leave Gennes in the direction of the village of Thoureil. Admire the old Gabarres port and attractive 15th and 17th-century houses. 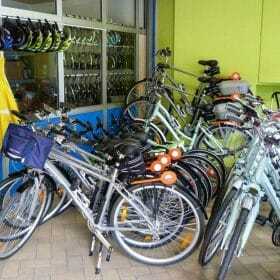 Leave your bikes for a trip on a Loire Toue boat. 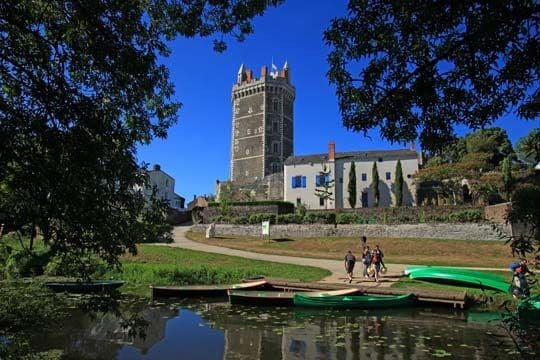 Cycle off again towards Saint-Mathurin-sur-Loire and visit the Loire Odyssée where you can discover more about this majestic river. Continue your ride until Trélazé where you can admire the slate works: a stunning rocky landscape on the site of an old slate quarry. After Daguenière, turn towards Angers, board the cable ferry to cross the Authion and cycle through the slate works at Trélazé. Then continue to Angers city centre. 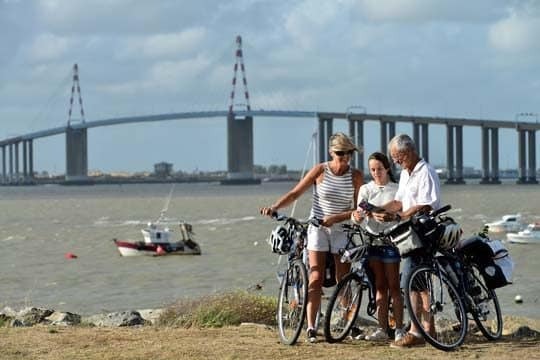 Pick up your bikes again and cycle towards the village of La Pointe, an old bargemen’s village situated at the confluence of the Maine and the Loire. 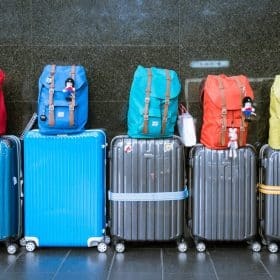 A moving sight! Take a small detour via Béhuard, a Small City of Character, where you can stop for lunch on the sand banks or in the village square. Continue to the village of Savennières, which is famous for its dry white wine. With the local wildlife, vineyards and the port of La Possonnière with its ancient boats, there’s plenty to interest you! Steep hill after the village of La Pointe leading up to Epiré. To avoid the hill, follow the banks of the Loire after La Pointe (this itinerary is a little narrower and bumpier, not recommended for trailers). 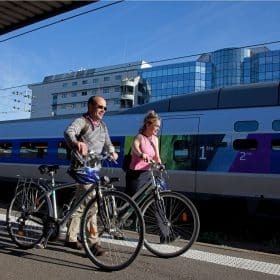 River shuttles are available in summer between Angers and Ile de Béhuard – bikes can be taken on board. Booking required. If you leave in the morning you will be able to visit Cap Loire which is dedicated to river navigation on the Loire. 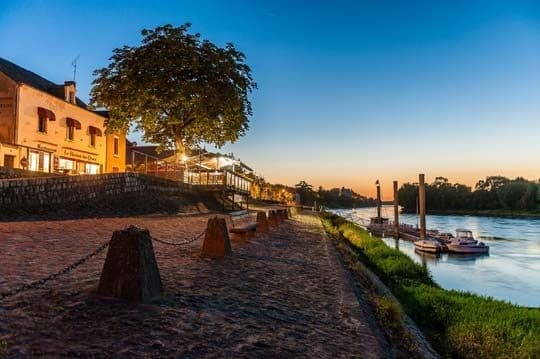 Follow the Loire along the south bank and admire views of the village of Ingrandes and the Loire islands. Stop for lunch in Saint-Florent-Le Vieil. 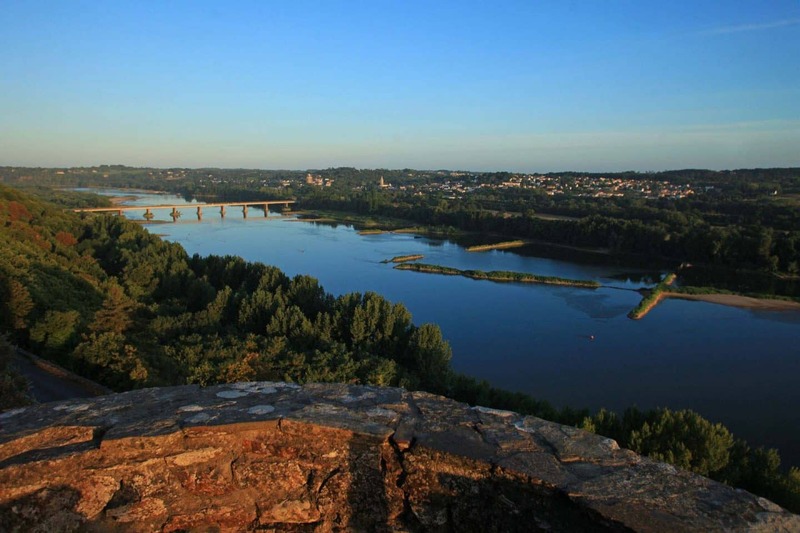 Make sure you climb to the top of Mont Glonne where there is an exceptional panoramic view of the Loire. Continue your route along the south bank then cross the bridge at Ancenis. Continue towards Oudon – Champtoceaux. Spend the night in Oudon or Champtoceaux on the north bank. There is a steep climb up to Champtoceaux, but a beautiful view of the Loire awaits you when you get there. Follow the itinerary on the south bank until you reach Liré. Between Montjean-sur-Loire and Saint-Florent-Le Vieil, the itinerary along the dykes of the Loire follows a road with a cycle lane. An alternative route is possible via the valley of Thau, offering a quieter itinerary. Fairly steep climb up to the top of Mont-Glonne in Saint-Florent-le-Vieil. Between Ancenis and Champtoceaux, follow the north bank. There is a steep hill up to Champtoceaux. Towards Nantes: a bucolic route through market garden scenery and vine-growing slopes. North bank: cross the Loire via the Mauves-sur-Loire bridge; the itinerary is partly shaded and mostly on green lanes. South bank: green lanes, a pleasant itinerary close to the Loire. 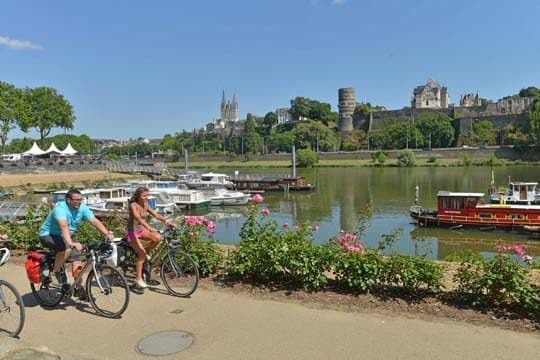 At Pont de Bellevue bridge, cross the Loire towards the north bank (dedicated path on the bridge) and join the itinerary of La Loire à Vélo. Towards Saint-Brevin-les-Pins; this stage is also part of the La Vélodyssée cycle route! From Nantes, cycle to Couëron and cross the Loire by ferry. Keep an eye out for the different works on the Estuaire art trail along your way! You will pass the village of Paimboeuf, where the series of colourful fisherman’s cottages will brighten up your journey. Arrive at the Ocean opposite the sea snake at Saint-Brevin-les-Pins. An alternative route is also possible via the south bank, but is slightly longer and hillier. After Corsept, the itinerary leaves the banks of the Loire and follows country lanes before arriving at the ocean. 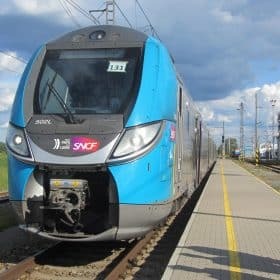 Cross the Saint-Nazaire bridge by shuttle, bus or taxi to get to the train station. 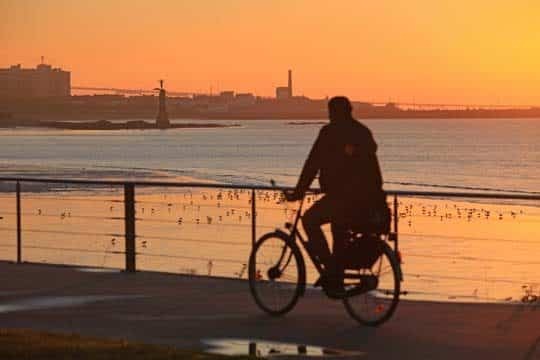 If you have a bit of time to spare, take the opportunity to visit Saint-Nazaire, a port town steeped in history, by following the La Loire à Vélo loop. From Saint-Brevin-les-Pins you can also continue your journey southwards along La Vélodyssée. 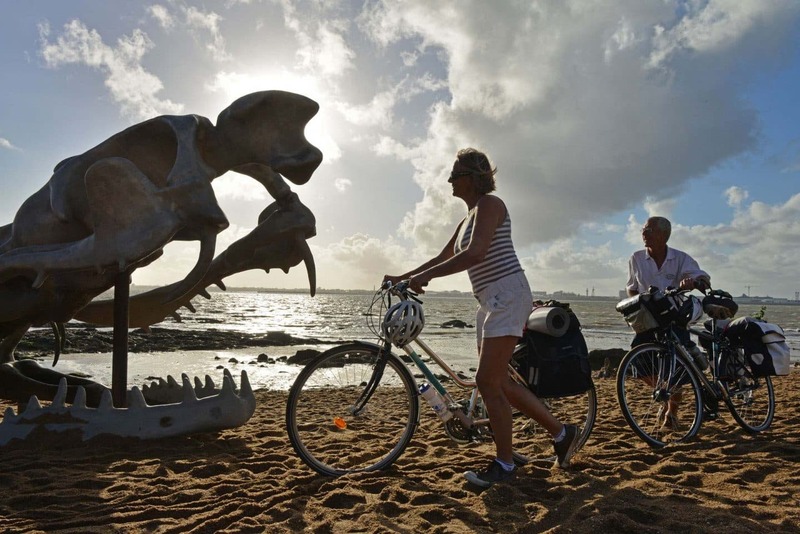 From Saint-Nazaire you can cycle to Brittany along the Vélocéan.